Our friends at The Wellington Interfaith Council are having their AGM later this month. There will be two speakers, Nadia McDonald, winner of the Bahai leadership competition. Nadia will speak on “Big change starts small” for 4 minutes. The second speaker is Robert McKay who will speak on the Parliament of World Religions using a video and presentation. He will speak for 20 minutes. The AGM will commence thereafter, and will be followed by a cup of tea and shared food. Free parking is available for the meeting: Park in the James Cook Hotel Carpark – entrance off the Terrace. Take the right hand lane and take a ticket at the barrier. The right hand lane leads you to the lower parking levels – you can park anywhere but I suggest you park on level B or C. Bring your parking ticket with you, and walk out to Gilmer Terrace via the vehicle exit on Level B. The venue is in the hexagonal building in front of you – the entrance is about 40 metres along to the right. Should there be religious limits to freedom of expression? What: Should there be religious limits to absolute media freedom of expression? Paul Morris will provide a plenary, with a panel afterwards comprising Dave Moskovitz, Tayyaba Khan, Jenny Chalmers, Joris de Bres, Tom Scott, Selva Ramasami, and John Shaver, moderated by Ced Simpson. David Zwartz will sum up. You can download a flyer with more information. Note that this is not an official function of the Wellington Abrahamic Council, but the topic will be of interest to our community. Pope Francis addressed a meeting of the International Council of Christians and Jews in Rome yesterday, on the fiftieth anniversary of the seminal Nostra Aetate declaration by Pope Paul VI in 1965 which redefined the relationship between the Catholic church and non-Christian religions. More than 300 delegates at the Rome conference of the International Council of Christians and Jews shook the hand of Pope Francis at the end of an emotional audience with his Holiness in Vatican city. The audience included an address to the Pope by ICCJ President Phillip Cunningham in which he informed the Pope of the dialogue work of the council and the presentation of three gifts to the Pope by members of the ICCJ executive board, including Australian second vice president Michael Trainor. Among these gifts was a statue that shows the female figures of the Church and the Synagogue standing proudly and powerfully together. The statue was commissioned by the Council to embody a new vision of mutuality and respect between the Church and Judaism and to counter the traditional supercessionist representation of the relationship between a triumphant Christianity and a bowed and defeated figure of Judaism that still appears in many churches in Europe. In honour of the long ongoing friendship between the Pope and the Argentinian Rabbi Abraham Skorka, identical versions of the statue were presented to the Pope and Rabbi Skorka. In what is seen by delegates as an extraordinary symbol of support for the Council’s work, the pope then personally greeted every one of the delegates. The Australian Catholic Church’s Broken Bay Institute (BBI) will be running an e-conference from Sydney on the topic “Religion: Catalyst for violence or peace? Probing the Abrahamic traditions for answers” on Tuesday 23 June at 12 noon NZST. If you’re in Wellington, you’re invited by the NZ Catholic Bishops Committee for Interfaith Relations to join a live-stream group session at Connolly Hall, Guildford Terrace, Thorndon at that time. If you’re not in Wellington or can’t make it to Connolly Hall, you can register separately and join the e-conference on the BBI’s web site at: http://www.bbi.catholic.edu.au/econference-registration. You can also download this handsome poster for more information and to share with your friends. One way or the other, we hope to see you there! 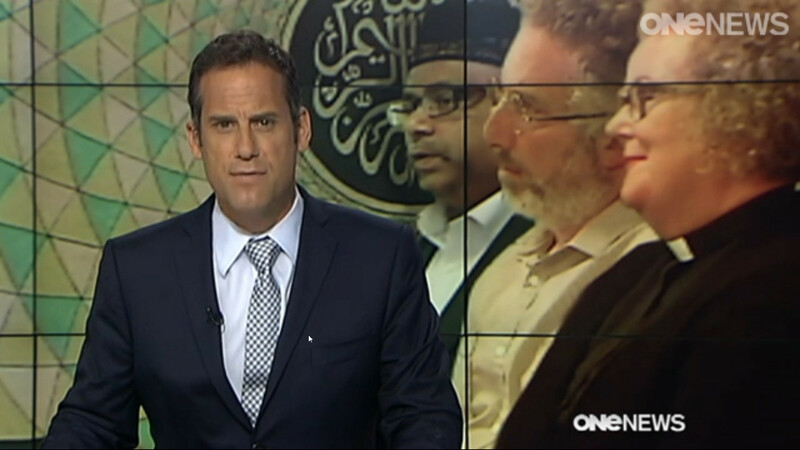 Muslims will take up full representation at the Wellington Council of Christians and Jews, which will re-launch as the Wellington Abrahamic Council on 14 April at an event at Parliament hosted by the Attorney General, Hon Chris Finlayson. The Council’s aim is to foster understanding, friendship and trust between the Abrahamic faiths of Judaism, Christianity and Islam. The name “Abrahamic” comes from our common prophet Abraham, who according to our traditions proclaimed monotheism some 3800 years ago. 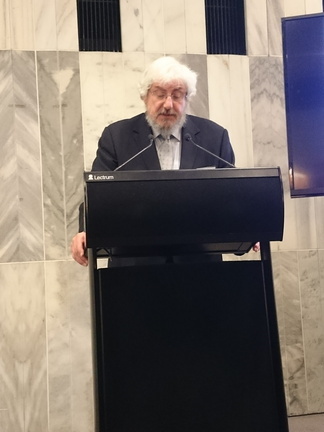 The Launch of the Wellington Abrahamic Council of Jews, Christians and Muslims will take place at Parliament House in Wellington at 5:30pm on Tuesday 14 April. Wellington Jews, Christians, and Muslims denounce the Charlie Hebdo killings in Paris as an attack on the basic freedoms which enable us to practice our religions and coexist in a democratic society. A prayer vigil will be held at the Kilbirnie Islamic Centre this Sunday 11 January at 3pm. All are welcome. The Council held a public seminar on Wednesday 22 October 2014 looking at the views of the Jewish, Christian, and Muslim faiths on euthanasia. Dr Sinead Donnelly, a palliative care specialist at Wellington Hospital also participated in the Q&A after the talks. Are there situations in which ending the suffering of a sick person can be justified? Can euthanasia be safely implemented? Should people who wish to die be forced to stay alive?